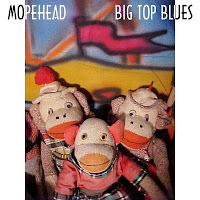 OK kiddies here's another FREE download of one of my tracks. 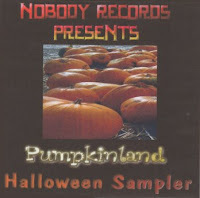 Here is a FREE MP3 download of Feelin' Sci-Fi (click here to download) (link disabled)taken from the Nobody Records Pumpkinland Halloween Sampler (also found on Big Top Blues). I've never quite figured out why folks associate Halloween and science fiction - martians, aliens and UFOs. Whenever I cruise around on Halloween I always wonder about the Trekkie who's used my precious holiday to space out (no offense intended for those sci-fi folks). So what the heck...I recorded a sci-fi track a while back and put it on my Halloween sampler - if you can't beat 'em, join 'em. Plus, some of those science geeks have the best displays - ya'll know who you are. I am realizing that I am probably offending a bunch of folks...sorry and feel free to geek out whenever, however. (not that you need my blessing!). Enjoy the FREE track and drop me a comment. Remember, all of my CDs are available for purchase at HauntedCDs.com.Be sure and support Halloween Radio by purchasing CDs from us!